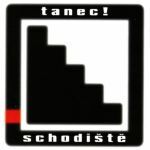 Schodiště band is publishing a new album entitled Tanec! And this dance is roistering, ideal to shake up your ears, brains and hearts. Schodiště is a path to unsuspected spaces and niches, to dark cellars and clear heights. And Tanec will make you dance, swirl and eventually sit down. probably there is no need to introduce Schodiště at length, the band until previous year called Nahoru po schodišti dolů, and its merry big beat songs ornamented with accordion, saxophone and clarinet. It has played since the first half of the 1980s and was one of the most striking bands of the Czech new wave of the pre-November era. After the publishing of the last album “Mokrý prádlo” (Wet Laundry) of Nahoru po schodišti dolů band, the percussionist Marek Brodský left together with the old name of the band.